Here you can download CD Booklets from some of the Springthyme and Autumn Harvest releases straight to your Laptop or iPhone. Essential viewing for anyone interested in the roots and evolution of traditional, folk and popular music! or Share on Facebook etc? BARGAIN: Free eBook/CDR when you buy the 4 volume set! Traditional music from Miltown Malbay, Co Clare. Live recordings of songs and ballads from a great but rarely heard Aberdeen singer. The song traditions of a romany gypsy family. 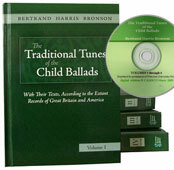 Gems of traditional singing ... a big part of the nation's heritage. The song traditions of a gypsy traveller family. Scottish music of the 1700s - rare, interesting and beautiful music. Seven women, an imaginative instrumental line-up, fine tunes. Patsy Seddon and Mary McMaster on clarsach. A powerful collection of songs from one of Scotland's finest singers including the title track 'Freewheeling Now'. Master of the bothy ballad, Jimmy's singing became a major influence on the folk revival of the 1960s. A legendary singer from the days of the feeing markets. This 35 track CD is a treasure trove of great tunes from the family repertoire of Tom Hughes of Jedburgh recorded along with other Border fiddle players including Wattie Robson and Bob Hobkirk. Tune Book/ CD: The Tom Hughes tune collection is also issued as a 98 page book of fully transcribed tunes for the fiddle player with detailed analysis of Tom's style and playing techniques. Recorded live at the Fife Traditional Singing Festival. Singers include Len Graham, Emily Portman, Brian Dawson, John Valentine, Elizabeth Stewart (photo), Jimmy Hutchison, Shepheard, Spiers & Watson. The second CD collection from Pete, Tom and Arthur. After their first album issued they were nominated in the Scots Trad Music Awards as Scottish Folk Band of the Year. Recognised as three individuals with a long experience of traditional song, they bring together a wealth of repertoire accompanied on melodeon, fiddle and whistle and gleaned directly from the many traditional singers they have known. 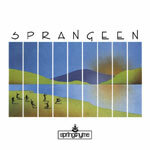 SPRANGEEN brought a new dimension to the spectrum of Scottish music when they issued this their first and only album as an LP in 1984. The band (of seven women) derived their style and repertoire from a wide range of traditional roots. All have gone on to contribute to the richness of the current Scottish music revival, Patsy Seddon and Mary MacMaster play together as a duet in Sileas and were both founder members of The Poozies. Remastered to CD from the original studio recordings. Savourna Stevenson has long been regarded as one of the leading exponents of the Scottish small harp or clarsach. Since recording this her first album as an LP in 1985 Savourna has recorded more than half a dozen albums. With Aly Bain (fiddle) and Frank Usher (guitar). The CD includes a Bonus track - Savourna and Aly's new, extended, 6 minute version of The Trip We Took Over the Mountains. Remastered to CD from the original digital recordings. 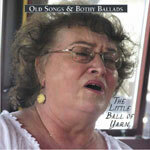 An excellent collection of Old Songs and Bothy Ballads recorded at the Fife Traditional Singing Festival. Singers include Jim Taylor, Bob Lewis, Henry Douglas, Jo Miller, Jimmy Hutchison, Chris Miles and Jock Duncan. Recorded at the Fife Traditional Singing Festival - the CD opens with Jeff Warner (photo) from New Hampshire - a singer with an extensive repertoire of old songs from the New England states. Songs from Phyllis Martin, Geordie Murison, Sheila Stewart, Terry Conway, Joe Aitken, Jimmy Hutchison, Pete Shepheard and Danny Couper. Iain McLachlan's music comes as fresh as the sea breezes wafting over the Uist machair - Highland and Gaelic as his island heritage. 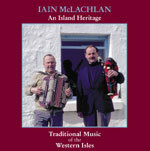 Includes his famous composition The Dark Island and many traditional tunes played with other island musicians on fiddle, button accordion, melodeon and goose. A highly praised gem. Rare, interesting and beautiful music from 18th century Scotland - music that would have been an important part of social life in Edinburgh at that time. Performed by Peter Campbell-Kelly: violin; Katherine Thomson: harpsichord; Kevin McCrae: cello. Music by James Oswald (1710-1769) and David Foulis (1710-1773). 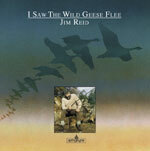 Jim Reid's 'Wild Geese' album, first issued in 1984, immediately established him as one of Scotland's finest singers. In 2005 he was voted Scots Singer of the Year in the Scots Trad Music Awards. Ye Shine Whar Ye Stan! Jock Duncan is one of Scotland's great traditional singers. In December 2006 he was inducted into the Scottish Traditional Music Hall of Fame during the Scots Trad Music Awards in Fort William. Click ContinueShopping to add more items to your cart. Click YourCart button at any time. Confirm your order on the secure PayPal purchase page. Click above to access WikiLeaks. More Springthyme releases are being made available as digital downloads. Listen to and/or Buy & Download song tracks by clicking on the iTunes logo or the AllCelticMusic logo where they appear on the CD pages. Click Cassettes for a link to the complete music cassette series. Traditional songs and North-east bothy ballads from this ever popular singer. Traditional ballads and tales from Scotland's 'travelling people'. An essential part of Scotland's heritage. Songs, bothy ballads & fiddle music. The first album from this famous band from Arbroath - including Jim Reid's song Auchmithie. Includes the song: The Norland Wind/ The Wild Geese. A historic album of songs and music recorded at the 1973 Kinross Festival.